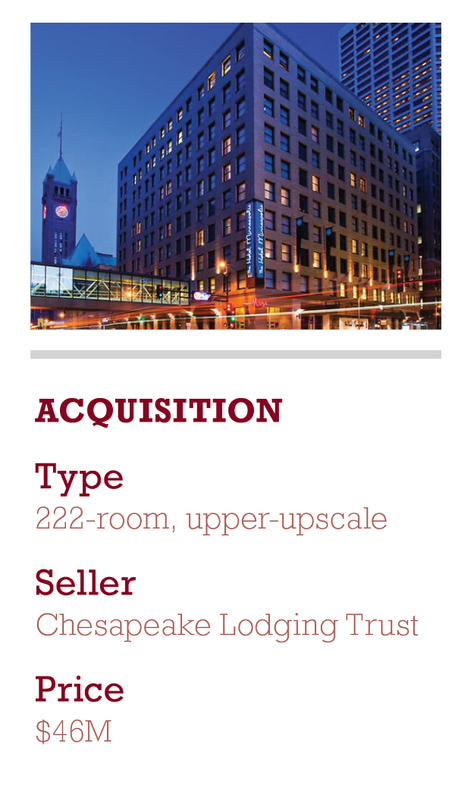 Chesapeake Lodging Trust has closed on the sale of the 222-room The Hotel Minneapolis, Autograph Collection located in Minneapolis, for a sale price of $46 million, or $207,000 per key. The trust used the net proceeds from the sale to repay outstanding borrowings under its revolving credit facility. 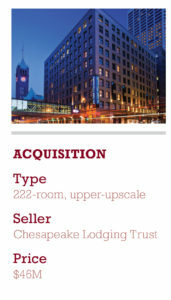 Chesapeake Lodging Trust had acquired the hotel in October 2012 for $46 million, or $207,000 per key. The $46-million sale price represents a 6.2% trailing 12 month NOI cap rate (after factoring in a needed 2018 renovation estimated at $5 million, the sale price represents a 5.6% NOI cap rate). 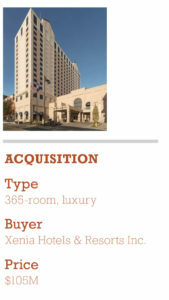 According to James L. Francis, president and CEO of Chesapeake Lodging Trust, the hotel is located in a non-core market for the company. 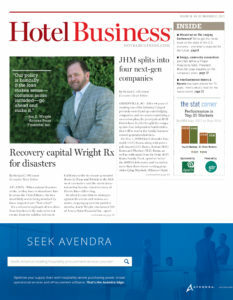 Davidson Hotels & Resorts has taken over management of the property, adding The Hotel Minneapolis to its Pivot Hotels & Resorts portfolio. A multimillion-dollar renovation is planned to begin in late 2018 and to be completed in early 2019. All areas of the 222-room hotel, including Restaurant Max and all public spaces, will be redesigned and reimagined. 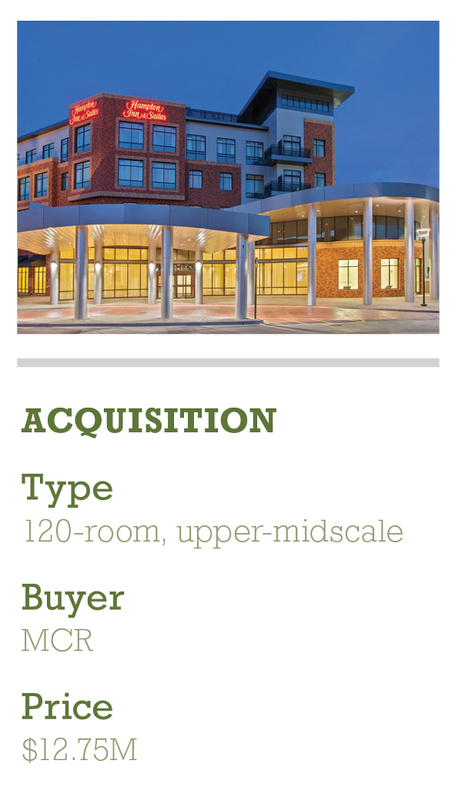 Apple Hospitality REIT Inc. has acquired the 179-room Residence Inn by Marriott Portland Downtown/Waterfront in Portland, ME, for approximately $55.8 million, or $311,500 per key. The hotel is located on Portland’s waterfront within walking distance of Portland’s Historic Old Port District, Portland’s cruise ship terminals, and a variety of restaurants, art galleries and entertainment venues. It is also close to the University of Southern Maine, Maine Medical Center and numerous corporate offices. According to data provided by STR for the 12-month period ending September 30, 2017, RevPAR for the Portland, ME, submarket improved by approximately 5%, as compared to the previous 12-month period. MCR has acquired the 120-room Hampton Inn & Suites by Hilton in Mount Prospect, IL, a northwest suburb of Chicago, for $12.75 million. The property is located in Randhurst Village, a 1 million-sq.-ft. open-air lifestyle center. The hotel’s location within Randhurst Village provides its guests with proximity to various shopping, dining and entertainment options. The hotel also serves visitors to some of the many businesses in Mount Prospect, including the U.S. offices of Japanese corporations Mizkan and NTN Bearing, as well as Allstate Insurance, ITW and a satellite office for CVS Caremark, which employs 1,400 people in the area. The property, which opened in 2012, provides daily, free, hot breakfast, covered garage parking, indoor pool, fitness center, meeting space for up to 70 people, a 24-hour business center and a 24-hour Suite Shop. Guestrooms offer Hampton beds, a work area, 37-in. flat-screen TV and a coffeemaker. 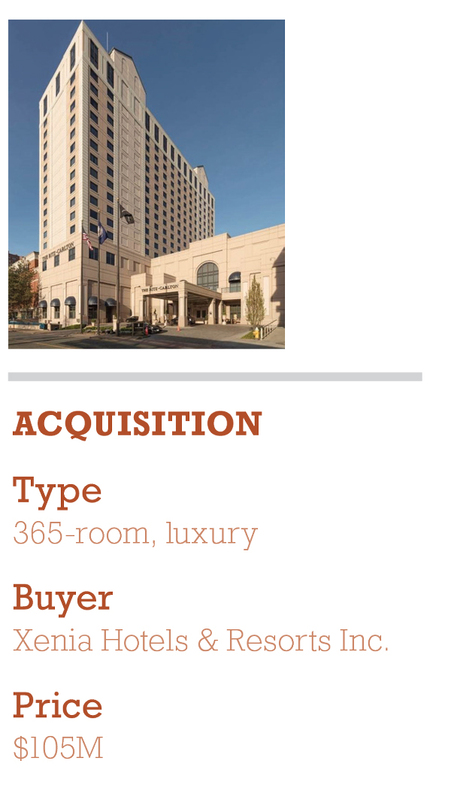 Xenia Hotels & Resorts Inc. has acquired The Ritz-Carlton Pentagon City, a 365-room luxury hotel located in Arlington, VA, for a purchase price of $105 million, or approximately $287, 670 per key. The acquisition was funded with cash available on the company’s balance sheet and its senior unsecured credit facility. The purchase price represents an estimated 11.3x multiple on 2017 forecasted Hotel EBITDA. The company currently forecasts that the hotel will generate approximately $2 million of Hotel EBITDA for the remainder of 2017. The 18-story has recently completed an $11 million renovation of its guestrooms and club lounge. It is directly connected to The Fashion Centre at Pentagon City, a mixed-use facility that contains approximately 870,000 sq. 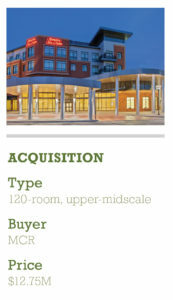 ft. of retail and restaurant space, as well as an approximately 170,000-sq.-ft. office tower. The hotel is located proximate to the Pentagon, Crystal City and Rosslyn business districts.